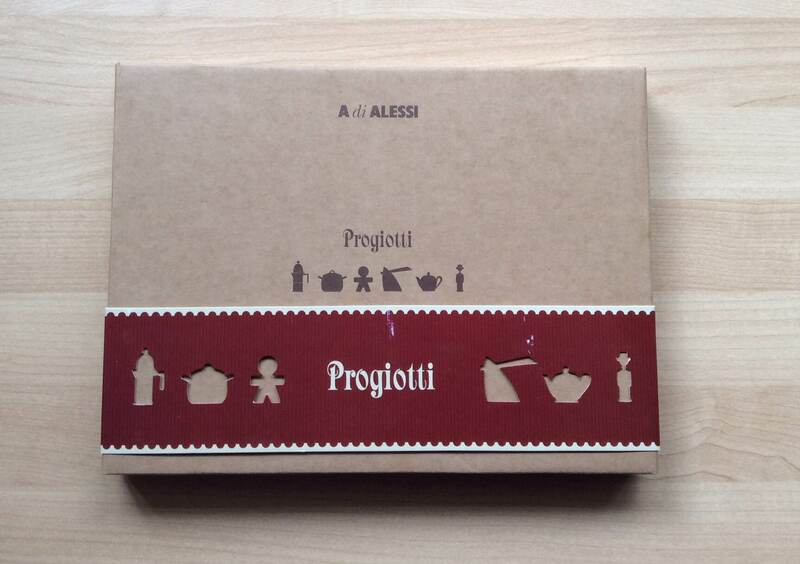 I’ve always been an admirer of Alessi products, so I was so thrilled to receive these Alessi cookie cutters as a gift from my brothers. 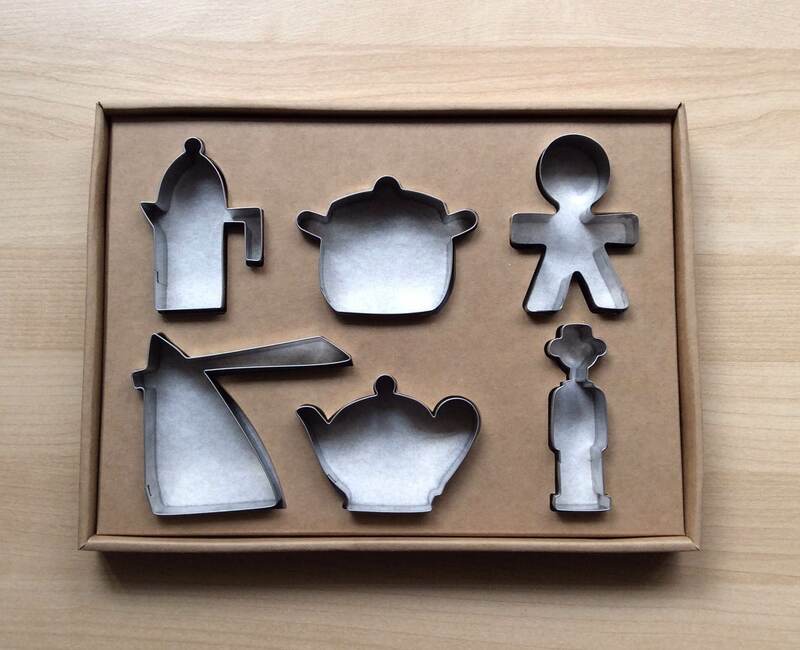 In this set, there are six cookie cutters in total, and are all shapes of iconic Alessi products: the Espresso Jug, the Mami Pot, the Figure (Girotondo) the Hot Bertaa Kettle, the Bombe Teapot, and the Alessandro M. Corkscrew. 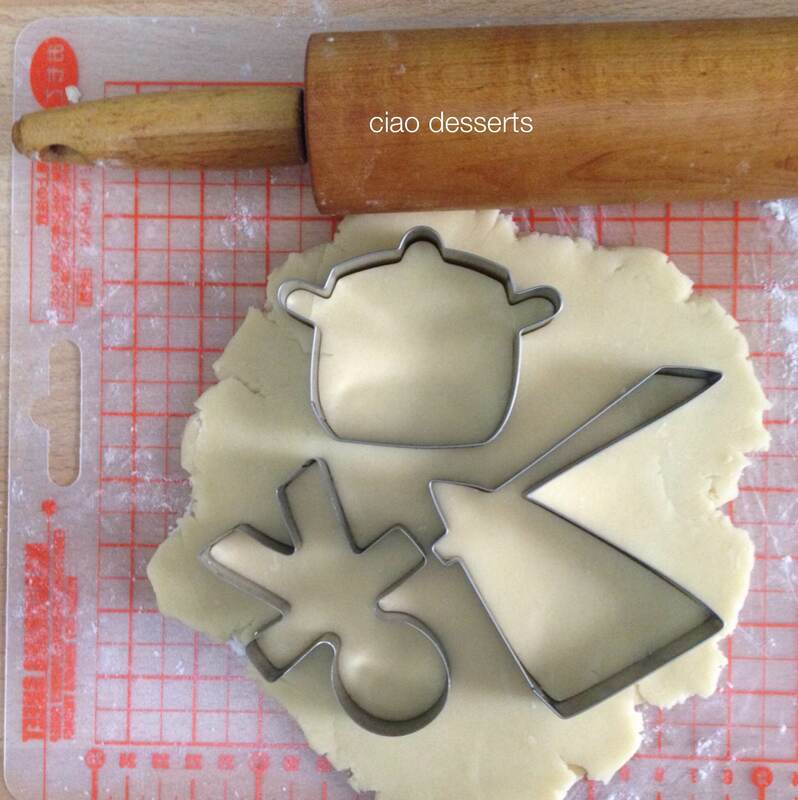 For my first time using these cookie cutters, I used my absolute favorite sugar cookie recipe from the Kitchn. (Please see recipe towards the end of this post) I love this recipe and I make them whenever an occasion calls for a cookie. From experience, I find that these sugar cookies are sturdy enough to withstand the flights of your imagination, and yet are still melt in your mouth in texture. (Personally, I omit the almond extract, and use either vanilla extract or vanilla bean, depending on whatever I have handy at the moment. I think the addition of cream cheese is brilliant. It adds a slight tanginess to the cookie, that elevates it from being just an ordinary sugar cookie, to something memorable. Depending on the occasion, I’ve topped them with chocolate ganache, sandwiched strawberry jam between them, or sprinkled with lemon zest and sea salt flakes).The cookie cutters are made from 18/10 polished stainless steel, and cut nice clean edges. I like to roll the dough out quite thickly, so the cookies are akin to shortbread, and are that much more of a satisfying treat. 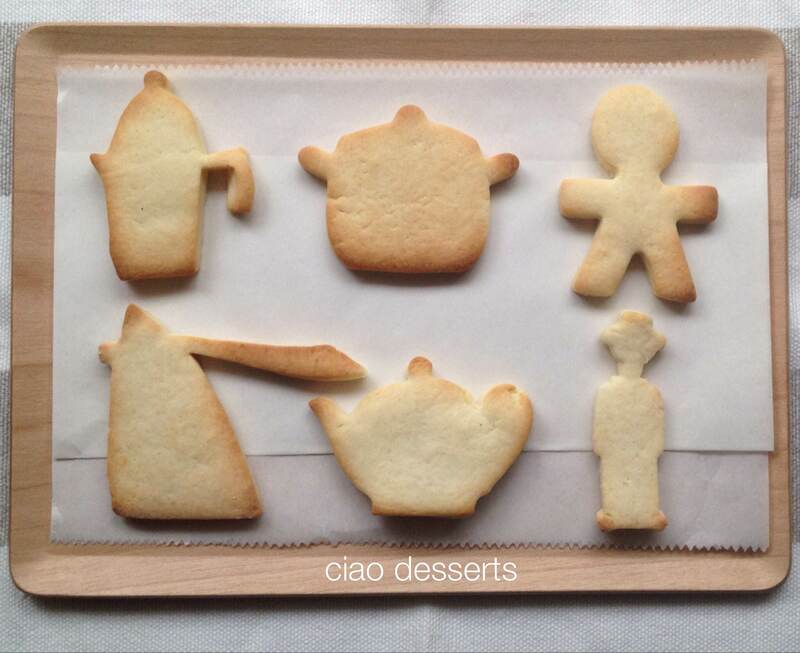 One of the minor mishaps is that the skinnier parts of the cookie, such as the handle of the espresso jug, or the Bertaa kettle, or the neck on the Alessandro corkscrew are a bit fragile. So I used a plastic butter knife to gently ease the cookie dough from the cutter. 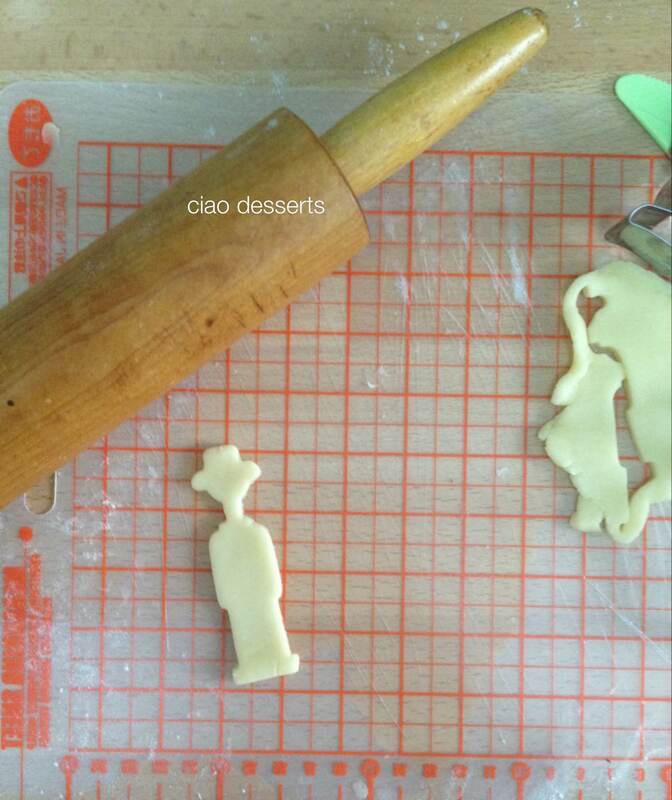 It’s been a while since I’ve used cookie cutters, so I had forgotten how satisfying the process of rolling out sheets of dough, and pressing the cookie cutters into the dough is. It’s such a simple and precise, and calming feeling. On a side note, I’m starting to notice that my oven is showing signs of age, it seems that the heat is no longer being distributed evenly. Considering that this oven is almost 30 years old, it might be time for a replacement soon. 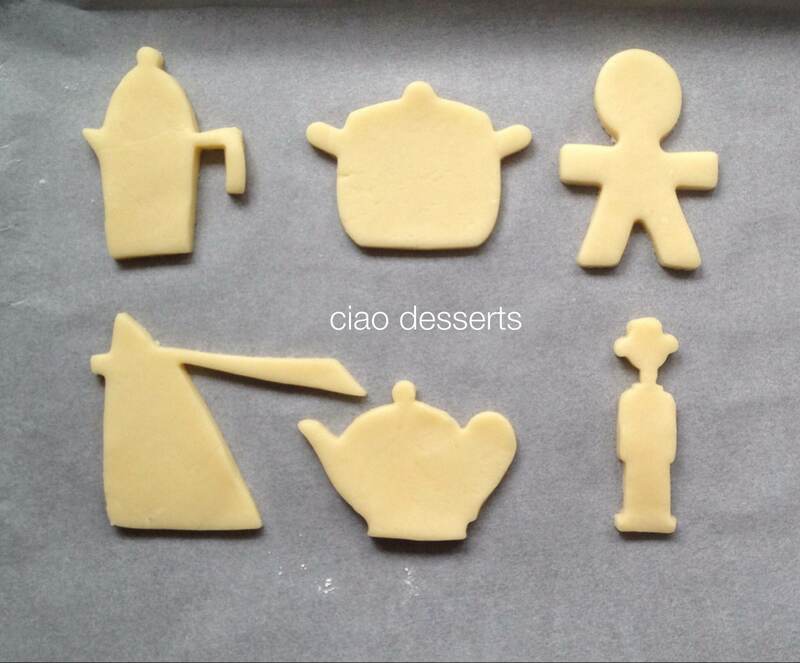 I’m loving the shapes of all these cookies! 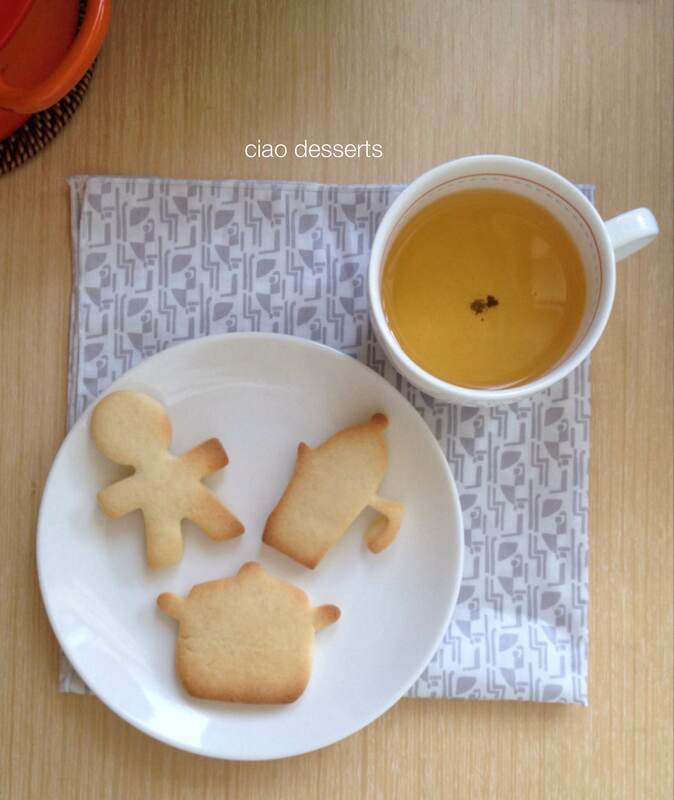 The Hot Bertaa Kettle is a distinctive Alessi shape, but I also love the friendly shapes of the Mami Pot and the Bombe Teapot. 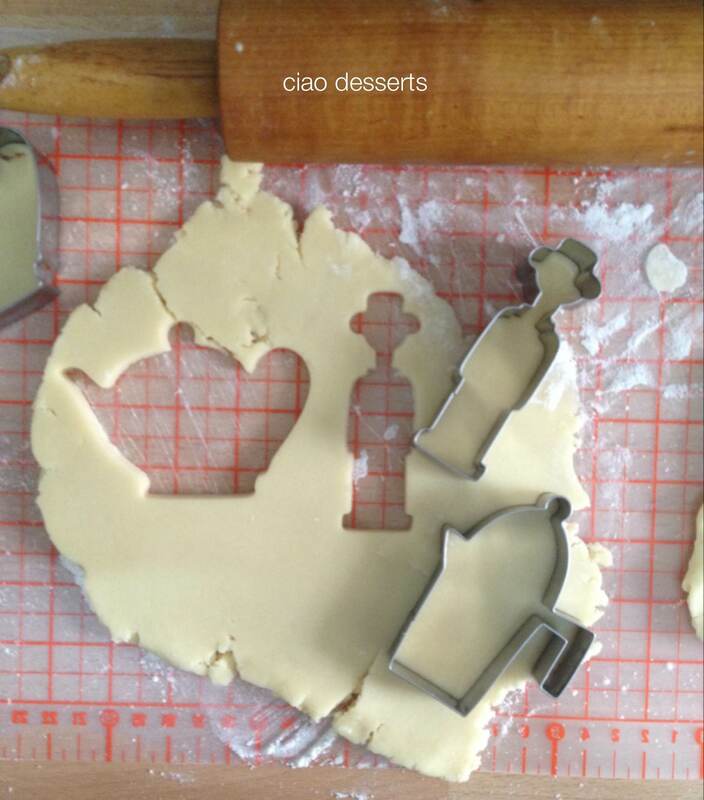 (Both shapes are I think I will include next year in my holiday cookie gifts). 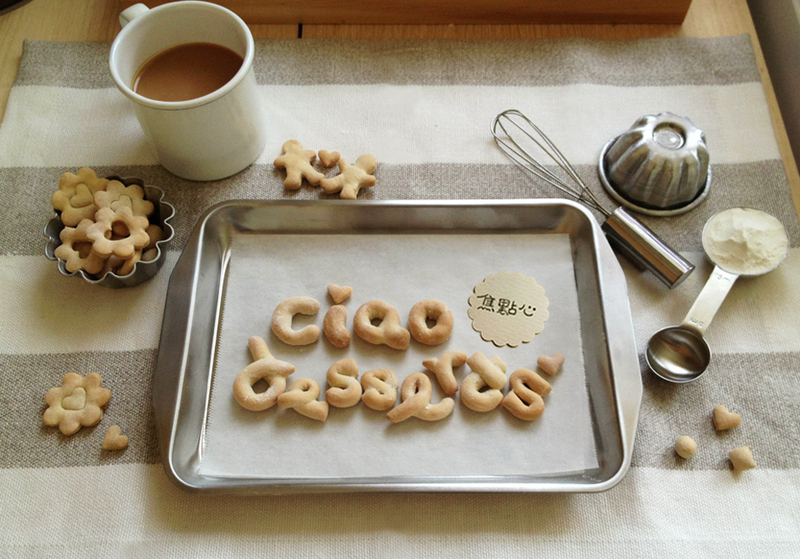 This entry was posted in Uncategorized and tagged Alessi, cookie, cookie cutters, handmade, home, home decor, interior, interior decorating, interior design, interiors, polyvore. Bookmark the permalink.